by Sabrina Norrie – Eliza Minnucci came onto my radar last spring. This public school teacher in Vermont did something somewhat revolutionary. 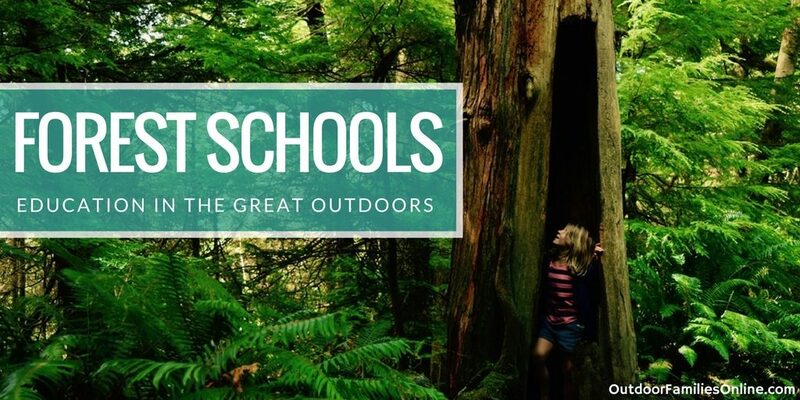 Inspired by a forest school in Switzerland, but understanding the realities of traditional schooling models in the United States, she approached her principal about bringing students outdoors for a full day of learning each week, no matter the weather. They call it Forest Monday. 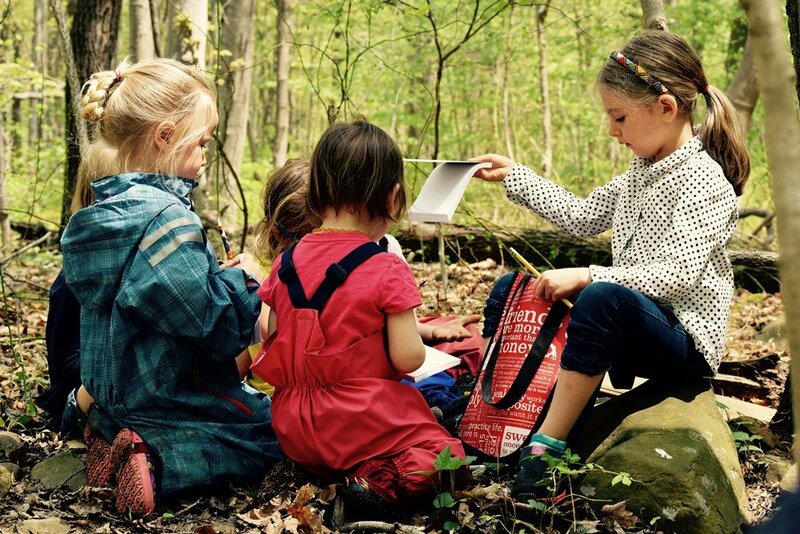 In a May segment by National Public Radio titled Out Of The Classroom And Into The Woods, Eliza brought her lessons outdoors and noticed, Kids are so resourceful out here. In the classroom, we chunk everything into small pieces. We teach them discrete skills and facts and they put it together later. That’s a good way to learn, but it’s not the way the world works. I like giving them the opportunity to be in a really complex place where they need to think about how to build a dam with a peer and at the same time, think about staying dry and staying warm. Benefits extended beyond complexities and new environments. Educators cited that children exercised grit, seemed happier and healthier, moved around more, learned through play and began to understand there is more to learning than what can be measured on a test. 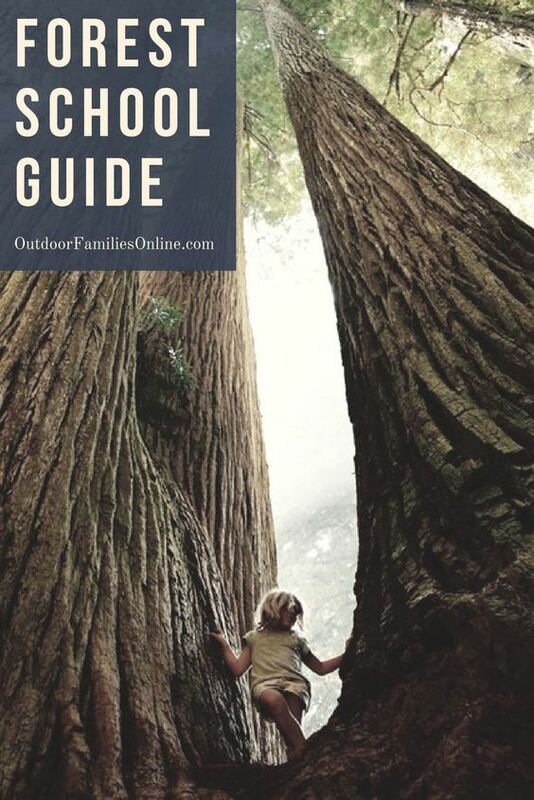 While this may be rare in public school settings or even in society – what with the existence and application of Richard Louv’s term ‘nature-deficit-disorder’ – outdoor learning and all of its benefits are deeply entrenched as the cornerstone of certain alternative school settings throughout the world. 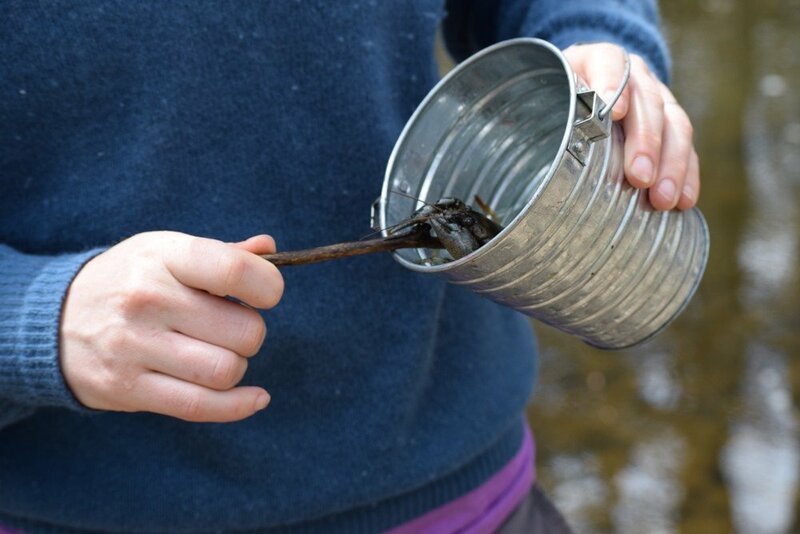 Forest schooling is one such type of alternative outdoor education. Both as a school of thought and as physical locations, forest schools are set in the outdoors, specifically forests or wetlands. Activities vary across technical, social and personal skills, but a focus on emergent, play and place-based curriculum creates a strong tie across forest school experiences. And it becomes apparent that forest schooling, in its approach and philosophy, is an ethos as much as it is a pedagogy. The first forest school was established in Wisconsin in the late 1920s. While it did not become widely adopted in the United States, other countries integrated it into much of their early education models. There is a longstanding history dating back to the 1950s of forest kindergartens and nature schools in Sweden and Denmark. In the 1990s it expanded across the United Kingdom. 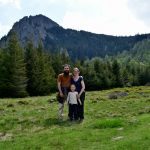 Forest School Associations now exist in both the UK and Canada, and independently-operated schools have successfully opened across the US, Asia, Australia and other European countries, including a Swiss location that inspired Eliza in Vermont. Discovering the depths of a forest, one tree at a time. To better understand the model, imagine a traditional classroom experience. Now, take away the walls, the desks and the chairs. In Discovery Forest and Nature School in Ontario, for example, kindergartners spend several hours each morning engaged in outdoor activities either in their local forest or outdoor classroom. The majority of our day is spent outside. “We believe that there is almost no bad weather, just bad clothing,'” says Karen Eilersen, the director of child care at Discovery. Discovery’s educators also use a child’s interests and actions, as well as the environment, to shape new activities each day. This is the essence of that emergent curriculum so commonly used in forest schools. Karen explains that teachers, use observation and documentation to plan play-based learning programs that encourage active exploration, inquiry, independence, choice, problem solving, wonder and of course, discovery. Children learn outdoors, on their own and together. Teachers develop play and place-based activities as a result of the children’s engagement. Much of the day is spent in movement with hands-on activities – activities that encompass life and survival skills, innovation and artistic expression and many of the earth sciences. The activities themselves are modified based on student, age, school and interest. You might find students hiking, building and cooking over a fire, tying knots, constructing pulley systems or rope swings, using tools, making a map or using a compass. 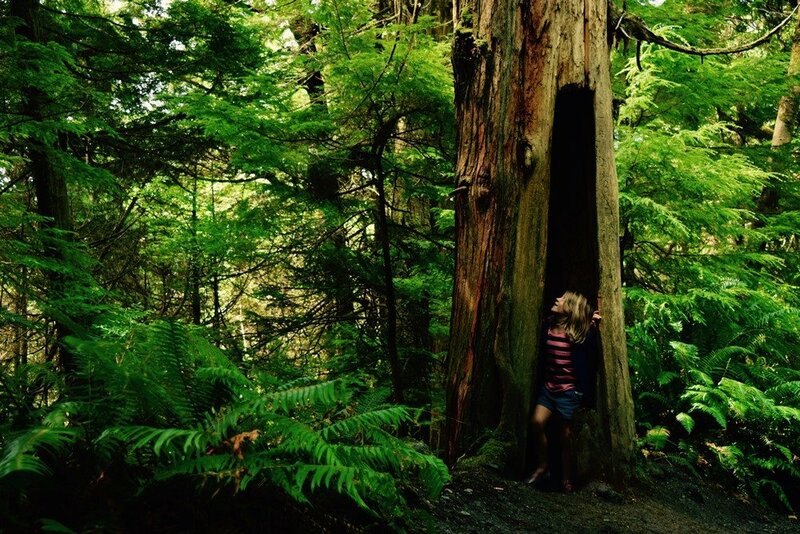 You might also find them exploring local ecology, learning about texture and color through the natural world, or expressing creativity through storytelling, building forest fairies homes or forts for themselves. Back in Vermont, Eliza and her fellow public school teachers witnessed benefits from their once a week outdoor education program. Forest schools, associations and researchers alike echo those takeaways. They widely agree children engaged in outdoor learning benefit from personal, social, and educational development. Children demonstrate increased confidence, social skills, fine and gross motor skills, communication, focus, motivation and problem-solving. They benefit from physical fitness, the ability to engage in healthy risk-taking, and come away with a respect for the natural world. While the positives seem universal and prominent – even extending to the beneficial impact for children with special needs – the disadvantages seem few and far between, but deeply entrenched. 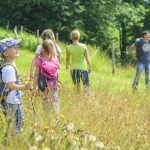 In a 2012 study on forest schools in the UK, Contemporary Issues in Forest Schools, researchers found the downside had little to do with the schools themselves and more to do with the difficulty of implementation due to a culture clash. Getting muddy, wet, and closer to nature while learning important skills, that’s a forest school. As a society, it can be challenging to feel comfortable knowing this learning style involves risks and exposure to outdoor elements. 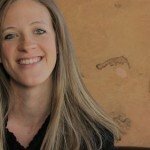 While calling for educators and parents to be trained in the benefits of engaging in healthy risks, researchers acknowledge that in the UK, similar to my experience in the US, “We live in a culture of ‘safety first’, where children aren’t encouraged to play outside due to the fear of abduction, blame or legal action. 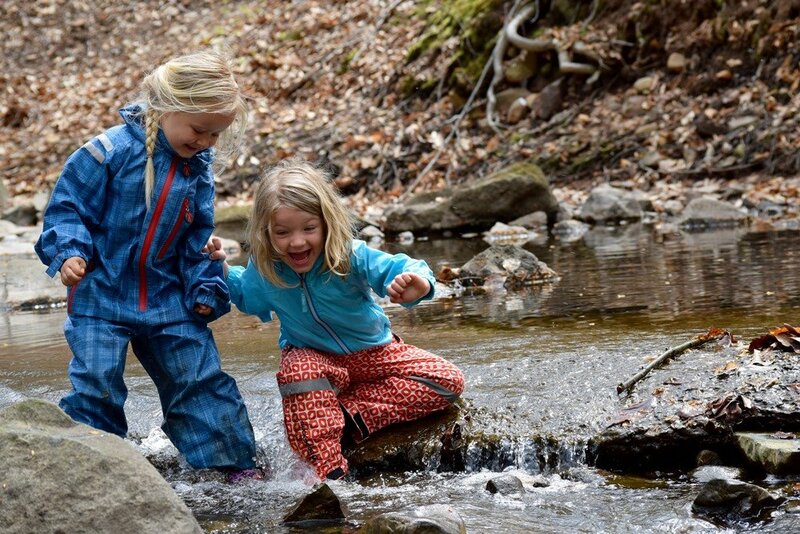 In other countries such as Scandinavia, Forest School type activities are a normal part of early education and they worry less about litigation.” This requires somewhat of a paradigm shift to be successful. It then begs the question, while research has shown that incorporating forest school into early education provides school-readiness, and is a program that can be applied and adapted to children of all ages, are parents and society ready to accept that? Not all parents and educators are waiting for the larger culture shift. 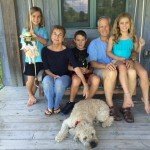 They seek out local forest schools and enroll their children, they create programs where they didn’t exist before, they supplement their children’s schooling with outdoor free-range learning experiences, or like Eliza, they incorporate aspects of outdoor learning into places they already teach. And at Discovery Forest and Nature School, the outdoor classroom and surrounding forest is filled with excited learners, where educators and students alike are ready to learn in and from the great outdoors. As Karen says, “Every day will bring new adventures?” So let’s ask ourselves, what does a daily educational adventure look like for you? 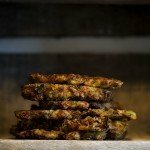 Sign up for our 14-Day Going Green Challenge! 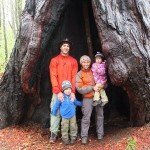 Sabrina Norrie is the founder of family+footprints, a blog about family travel, outdoor adventure and world schooling. 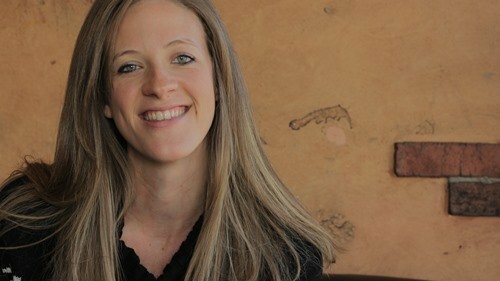 Sabrina is also a co-founder of Forest School For All, a site for families to find, create and connect with outdoor education and adventure programs. Currently, Sabrina is long-term traveling with her family across the US. I went into teaching to try to get more kids outside. Wile getting my education degree, there was a lot of talk about trying to shift away from traditional education and towards experiential, student centred learning, but no one seemed to be able to follow up with actions. I was lucky to get a practicum placement in a public Montessori school; otherwise I might have slipped into doing (or not doing) the same. Its hard not to in the public system. It’s great to see that public school teachers are finding ways to break the mould. I feel disillusioned with the public system and am often tempted to leave it, but I think it’s where I can make the biggest difference. Check out the “Learning Landscapes Outdoor Classrooms” In Plumas County, CA. A really great program! Forest schools or School in nature, as it is called in my country of origin, are pretty common in Europe. I remember it vividly. I was in the 4th grade and we went to the mountain resort for 3 weeks. Learned a lot, saw a lot of wild animals. It is a great approach because the stress you experience in the “real” school was somewhat nonexistent. I loved it. We are part of a wonder program in Sequim, WA called Olympic Nature Experience! How wonderful Amanda! Washington is such a great state to live in for access to these kinds of programs! I wish there were programs like this in my area! I notice with my daughter how much more focused and creative she is when she’s outside. Children need room to explore their sense of wonder!